These are new wings but do not confuse them with elytras, these serve more as an accessory for your character. There are 5 types of wings that you can try on and wear on your back. 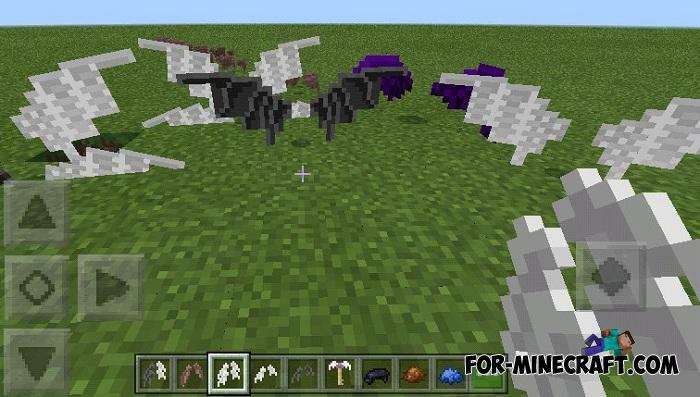 Minecraft PE contains a meager amount of elytras (color does not count), but you can get and put on your favorite wings, which unfortunately are not able to fly. All the wings are different in shape, although they look more like a blank in gray. 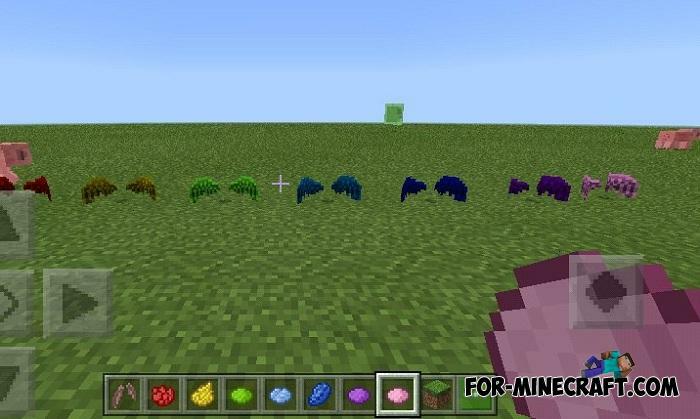 This is so that you can customize your wings by dyeing them in one of the 16 available colors in MCPE. To do this, hold the dye or click the dye on the wings if you are playing Win10 Edition. How to install the V-Wings Addon? 1. Open the game and go to the settings. 2. Activate the downloaded addon (open using MCPE). 3. Experimental gameplay must be enabled.